The SMC animates two principal research activities supported by the Foundation STAE:RTRA (Sciences et Techniques de l’Aéronautique et Espace:Réseau Thématique de Recherche Avancée). 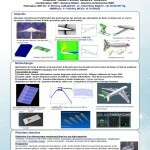 The research program EMMAV (Electroactive Morphing for Micro Airvehicles) during 2010-2012 and the RTRA research initiative – ‘chantier’ – SMARTWING, (2012-2015) which includes the research project DYNAMORPH. Furthermore, SMC is strongly connected with the MAV research center especially in the domain of microdrone research. The partners of the research program EMMAV (LAPLACE, IMFT, ISAE) and the partners of the research initiative SMARTWING organized a first meeting on June 16th and 17th 2011 in Toulouse at the sites of ENSEEIHT and IMFT. This was followed by the official kick-off meeting of SMARTWING on the 30th of March 2012 at IMFT. These meetings were attended by a number of European partners with the objective of creating a partnership for the European research project EMORPH as a preparation for the next FP7 call. During these meetings the research activities in EMMAV and SMARTWING were presented followed by a visit of the experimental facilities (LAPLACE and IMFT) associated with the previously mentioned research activities. The European partners offered their input and declared their interest in participating in the European project EMORPH. The different presentations can be found in the Publications area. 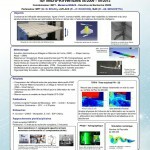 An overview of the activities in EMMAV and SMARTWING/DYNAMORPH is shown in the present posters.